An updated version of my Quick Reference Guide is now available for AutoCAD 2007. The Quick Reference Guide includes information on the default Command Aliases, Accelerated Keys (Keyboard Shortcuts), Double Click Actions, Coordinate System (Types of Point Entry), Drag 'n Droppable files, Object Snaps and Selection Methods. The AutoCAD 2007 version now has two sections for Command Aliases, one for 2D and one for 3D. 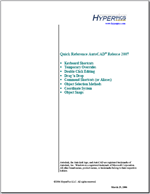 Other versions of the Quick Reference Guide are available starting with AutoCAD R14 through AutoCAD 2006 for download. If you have any questions just let me know, you must be a member of the HyperPics.com website in order to access the PDF file. General membership is free to everyone that signs up on the site, click here to access the member signup page. Click here to access the Quick Reference Guides page on HyperPics.com. I have just finished updating the Command Reference as a PDF file for those that want to print it off or view it offline. It doesn't contain the Command Aliases like the online version does, but it does give you a similar chart that covers which commands are available for AutoCAD R12 through AutoCAD 2007. If you have any questions just let me know, you will also need to be a member of the HyperPics.com in order to access and download the PDF file. General membership is free to everyone that signs up on the site, click here to access the member signup page. 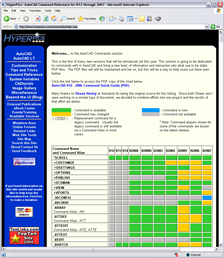 Click the link here to access the Command Reference page on HyperPics.com. I have just put the finishing touches on the Command Reference Map table that I maintain. The map has been updated to display commands starting with R12 up through 2007. An updated PDF file will be made available in the not so distant future for downloading. Let me know if you have any questions. Each March Autodesk brings us a new release of AutoCAD, AutoCAD LT or other AutoCAD based products. Shortly after the release of the products, new editions of books start making their way to Amazon or a bookstore shelf near you; this year is no different. There are three books that I am looking forward to seeing in their final format, and that is because I have had the pleasure of participating in the projects one way or another. Two of these books are revisions to established books, while there is a new entry in the mix this year. These books are to be published by Wiley and fall under the Bible and Dummies series, and should be available between the months of May through July. What could be better than being outside with a new book, your copy of AutoCAD and a wireless connection sitting near the pool? OK maybe that is my idea of a fun day in the sub, but these are all great books to pick up and learn about the new features, or if you are new to AutoCAD all together. Update (8/16/06): All three books are currently available for purchase from your favorite online or local bookstore. The main focus of AutoCAD 2007 is 3D modeling and visualization. 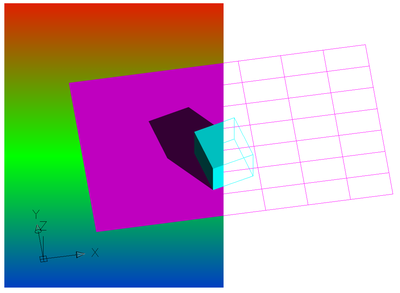 There have been improvements in being able to create and edit 3D solids and surfaces, but what about visualization. AutoCAD 2006 had a feature called Crop Window in the Render dialog box, which shows a region of the scene fully rendered. This feature is a little more obvious in AutoCAD 2007 as it easier to access, but it also has been improved. In AutoCAD 2006 anything that was outside of the cropped region was not displayed, but in AutoCAD 2007 the other objects remain displayed in the viewport allow you to create interesting presentation drawings. Only one region can be rendered at a time, and the previous region is refreshed before the new cropped region is rendered. This can be great for testing lighting and shadows in a scene before doing a full render which can take much longer. Sometimes it is the littlest features that just make things oh so much easier. The crosshairs have received a color makeover and have been given brought up to speed with Z. 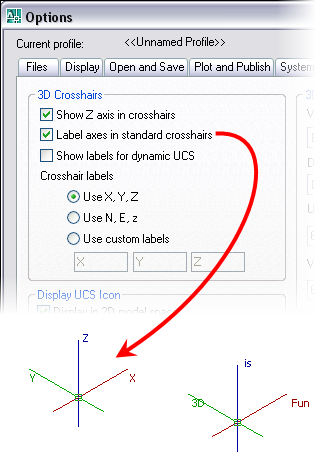 The crosshairs now display by default a red (X), green (Y) and blue (Z) tint to help you determine which direction is which without the need of looking at the UCS icon. You can also display a pointer in the Z direction and label the 3 different axes. If you don't want to use X, Y, Z you can choose from another preset that displays directions like a compass or label them whatever you want to up to 8 characters. These settings are available via the new 3D Modeling tab in the Options dialog box. You can also specify whether the crosshaits displays the tinted three colors from the updated Drawing Window Colors dialog box that is accessible from the Display tab. Time for another dose of AutoCAD 2007 features. OK so I won't be covering multiple features in the sense as far as numbers goes, but the new Dashboard palette does show case many new features at one time. The Dashboard (or what I like to call AutoCAD's instrument panel) contains tools of all kinds. The Dashboard allows you to access both 2D and 3D commands, but its primary purpose is to ensure that you have most of what should be the commonly needed tools for the new 3D environment that is in AutoCAD this release. The Dashboard is broken up into what are called control panels. The Dashboard has a total of seven control panels. Below is a list of the control panels that are part of the Dashboard palette. 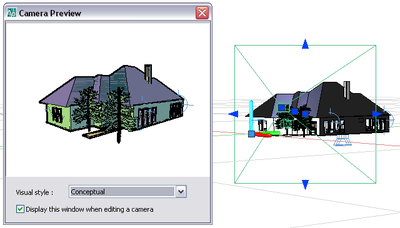 That's it for now, I will post some more about the new features in AutoCAD 2007 in the near future.